Everyone knows that maintenance is key when it comes to increasing the longevity and performance of our Bartow Ford used cars. The problem is that most of us don’t have the knowledge, time, or either to do maintenance on our own. That’s where the Bartow Ford Quick Lane comes in. The Quick Lane is a no-nonsense approach to doing maintenance right by easily addressing your car or truck’s needs. Our Quick Lane service is just that: a fast lane to get your car or truck’s basic maintenance taken care of at affordable prices. We understand that you have things to do, a family to take care of, and would rather spend your time doing something more productive. Simply stop by the Bartow Ford Quick Lane, and you’ll be out of there with a better running vehicle in no time. While the Bartow Quick Lane is not for major servicing, it definitely helps take care of the routine maintenance, like changing the oil, tires, brakes, batteries, and more. We’ve got factory-trained technicians at the ready to give your car or truck the love it needs, no matter the make or model! 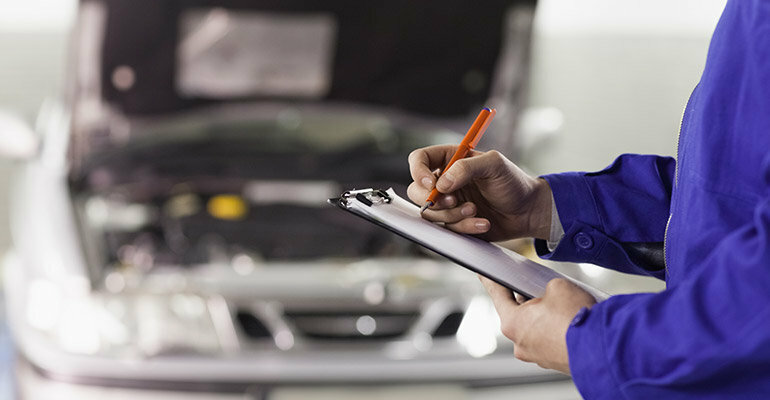 They’ll even provide you with a free check-up to spot any potential problems that may be coming your way, giving you the necessary time and peace of mind to properly address the issue. You read that right; there are no appointments necessary for our Bartow Ford Quick Lane service. That means that you simply have to pull up, and we’ll take care of you. We provide convenience and flexibility without the hassle because you can come at a time that works for you without calling ahead and at a moment’s notice. Our Bartow Ford Quick Lane is open from 7am to 7pm on the weekdays and from 7am to 4pm on Saturday. Why waste your free time doing it yourself when you can get our guys at the Bartow Ford Quick Lane to help? We’ve got a variety of services available including our $58.95 diesel oil change! 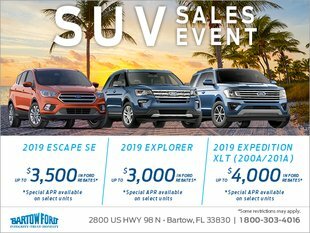 Our service technicians are there to take the hassle out of servicing Bartow Ford used cars and trucks, and they do so quickly. Head over to our location on 2800 U.S. 98 North Monday through Saturday!